Evolution to Outlook Migration tool not only migrate Evolution to Outlook, but it can migrate Evolution to other 6+ format as well. In my organization, I am using Evolution as the default personal information management system on Linux operating system. Unfortunately, I am on leave for a week and an urgent need had occurred in which I require access of Evolution emails from home. However, I am having Windows 10 OS installed on my personal machine, which is having Outlook 2016 installed within it. Well, I asked my office colleague to mail me MBOX file of Evolution emails and he had done the same. But, now I want a solution by which I can migrate Evolution to Outlook. Will the data consistency or folder structure be maintained during the migration procedure? Could we be able to import data from Evolution email to Outlook in bulk? Is it possible to migrate Evolution mail file of large size without any data loss? Can we transfer emails, which are having attachments appended with it? Is any email platform required for working of any third-party application? What time duration is required for completion of the entire procedure? Transferring data from one email client to another is not an easy task. Therefore, to have a migration solution without any complications, users can make use of Evolution Email to Outlook migrator. The focus behind developing this product is to import Evolution email to Outlook. Evolution Email to Outlook migration tool is designed with multiple features having potential to import mails from Evolution email client to Microsoft Outlook in bulk. 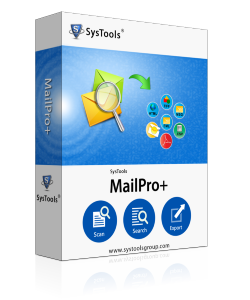 Well, there is no maximum size limit of Evolution mail files, users are free to perform limitless conversion with help of this software. This software guarantees that it will maintain data integrity even after the conversion procedure. It is having an easy-to-use interface rending a rapid manner of performing data migration. Moreover, there is no need of installation of any email platform for working of this software. Will I be able to transfer my Evolution mail files in bulk? Yes, software is designed in such a way that it supports bulk file conversion. Is there need of Evolution program installation for software working? No, with help of this migrator, you can transfer Evolution to Outlook without any dependency issue. Is it possible to merge exported Evolution mail files? Yes, you can use facility of merging provided to you in this product to combine exported files of Evolution mail. I am unknown from the location of Evolution email files. Will I still be able to perform Evolution email migration with help of your utility? Yes, Evolution email to Outlook converter have come up with a feature of searching all Evolution files and then, implementing migration procedure. I was actually surprised with working of this software. I had never imagined that migration from Evolution to Outlook can ever be an easy task. But the software proved that transferring data is not difficult as it seems to be. Well, the best thing I liked about the product is that it provide feature to eliminate duplicate files. Headsoff to the hard work of software developers! It is not possible to view emails of Evolution mail program in Outlook. Since Outlook supports PST files therefore, first users need to convert files into .pst format and then, they will be able to open files in Outlook email program. Therefore, need for Evolution email to Outlook Migrator arises in such situation.